This year, RPM is partnering with AMW to bring you a concert featuring some of Indian Country’s fastest rising hip-hop stars: Drezus, Mariame, Hellnback, T-Rhyme, and Boogey the Beat. An accomplished young producer with a gift for booming beats and hypnotic melodies, Anishinaabe artist Boogey the Beat will bless us with his trap-infused rhythms. N’we Jinan artist and rising Cree R&B singer, Mariame, will be joining us from Quebec to perform songs from her recently released debut EP, Bloom. And, hailing from Saskatoon by way of Edmonton, self-described femcee T-Rhyme will bring her ‘ATCQ to Jean Grae’-influenced hip-hop styles to the stage. UPDATE: Tall Paul won’t be able to make it, but hot off his recent Warpath Tour, we’ve got Cree hip-hop artist Drezus coming through to rep for the people and give us a dose of his banging beats and Native Pride-filled lyrics. 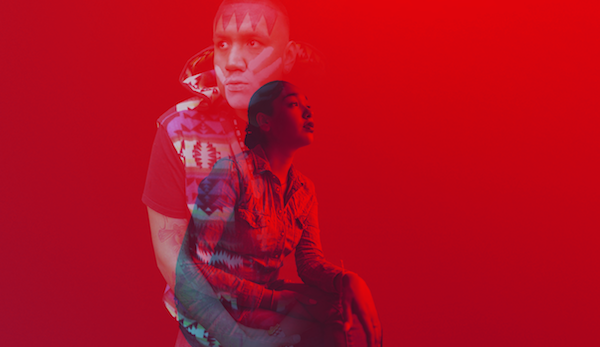 This is a closing party without compare and a showcase of what’s next in native hip-hop and Indigenous music. 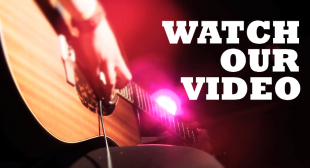 You don’t want to miss it. 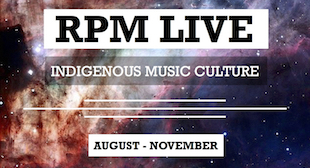 Aboriginal Music Week, an annual celebration of “the fact that Indigenous artists around the world are creating music that crosses almost all musical and physical borders, without regret”, runs from August 18-22, 2015 in Winnipeg, Manitoba. With a full lineup of Indigenous music events including the Spence Neighbourhood Block Party, the Turtle Island Block Party, an AMW stage at the Austin Street Festival, and a daytime stage at Picnic in the Park, this year’s AWM is going to have something for every listener and music fan.